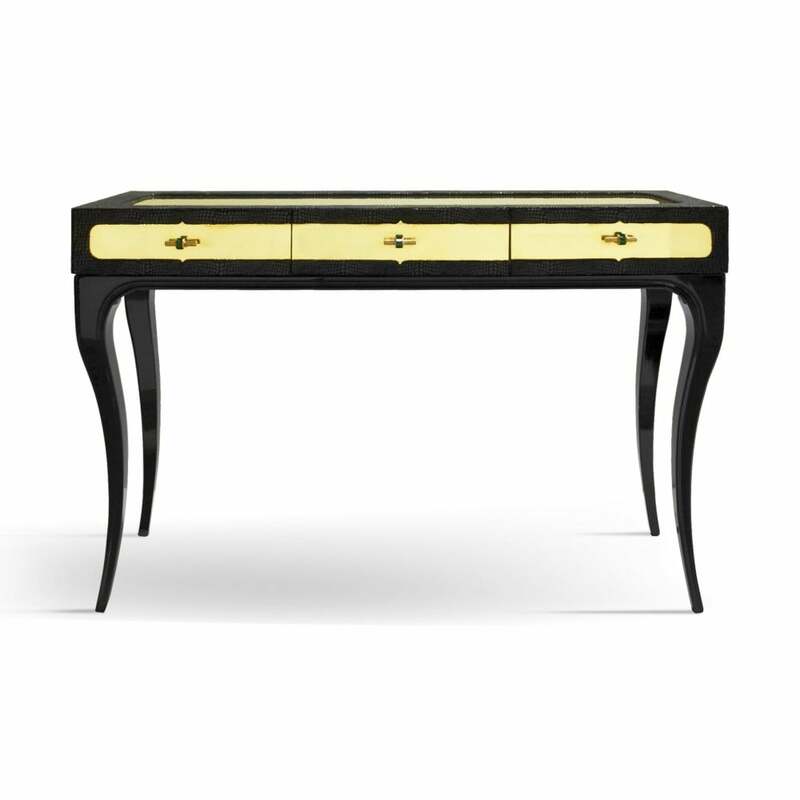 Exuding feelings of fantasy, this highly coveted dressing table is bold, daring and seductive. The ultra-soft reptile embossed velvet is juxtaposed with mesmerizing movements of emerald crystal tassels. Top: Black reptile embossed low pile velvet. COM or COL available (POA). Base: High gloss black lacquer. Gold, silver or copper leaf available with an up charge or any RAL Classic colour in a high gloss or matt finish. Jewells: Gold tassels & pulls available with emerald green, ruby red or amber crystal.